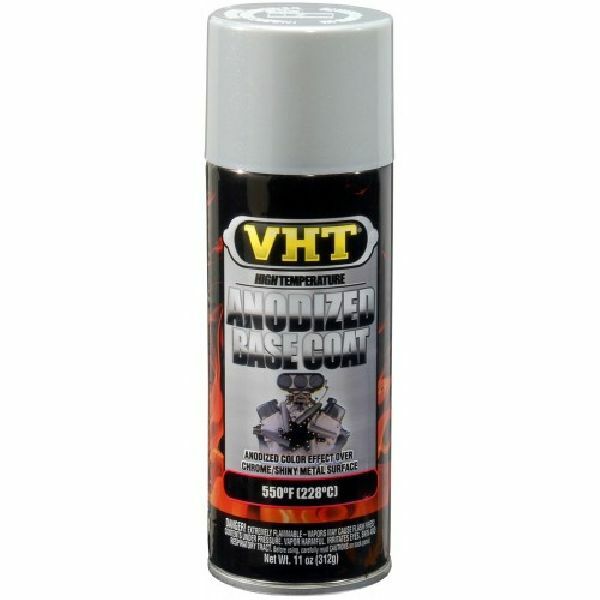 VHT Anodized Color Coat is formulated for high temperature and high performance engine paint applications. To create the anodized metal look over non-metal and/or painted surfaces, first prime with VHT Anodized Base Coat. Then apply VHT Anodized Color Coat when dry. VHT provides a multi-high performance coating system for the ultimate in protection and quality. The system includes surface preparation, a recommended adhesion promoter, paint and clear coat.